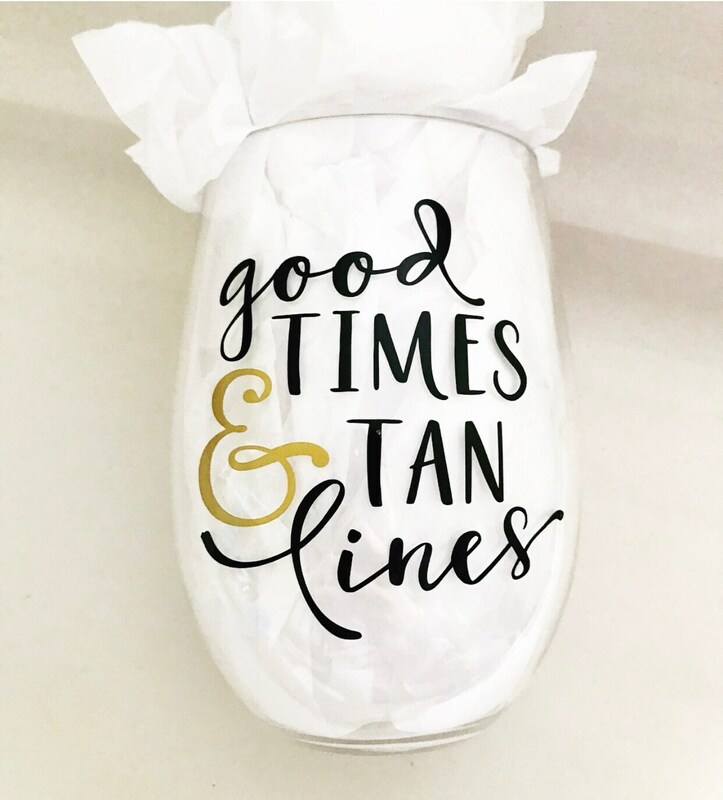 "Good times & Tan lines"
20oz plastic wine cup, perfect to have by the pool or the beach with your favorite beverage, enjoying your time in the sun. 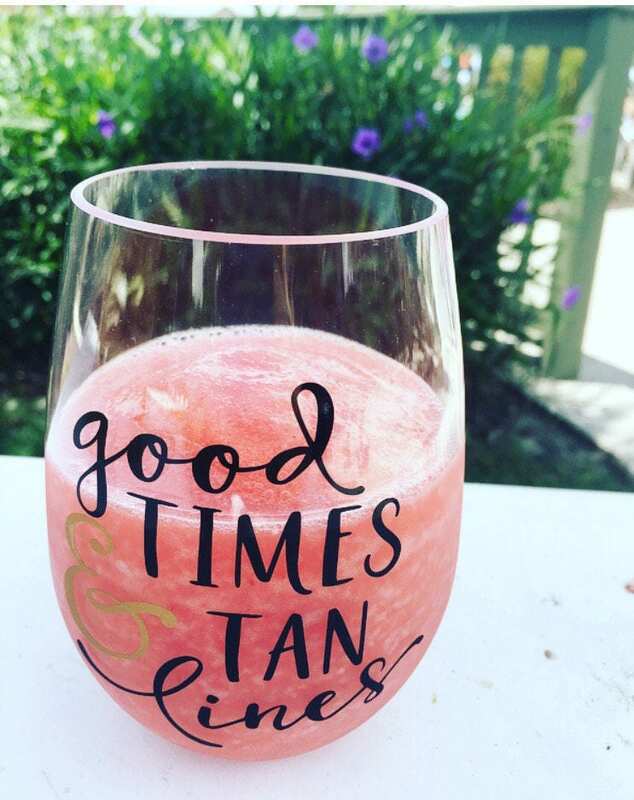 Loved my custom wine glasses for my girls trip. Angie was able to do exactly what I wanted and they came in plenty of time. 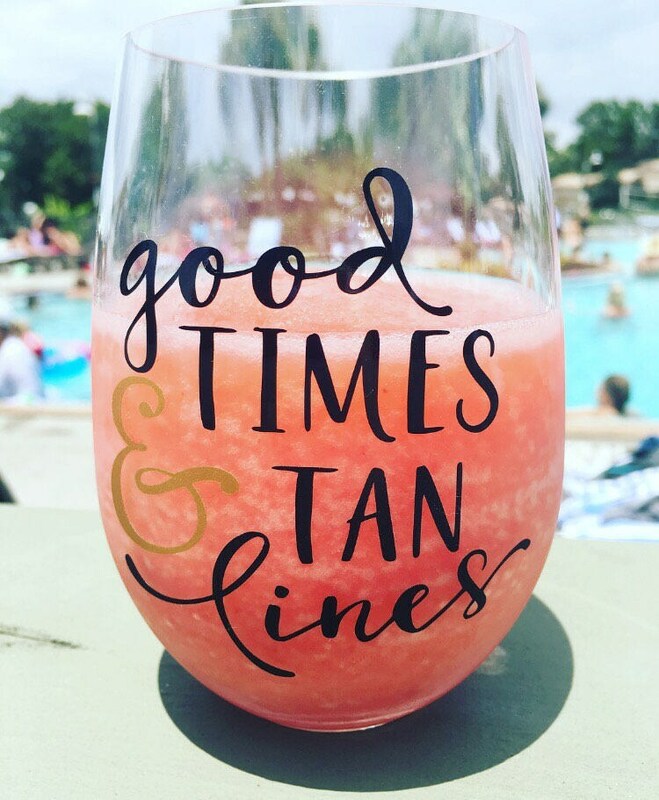 Will order again! 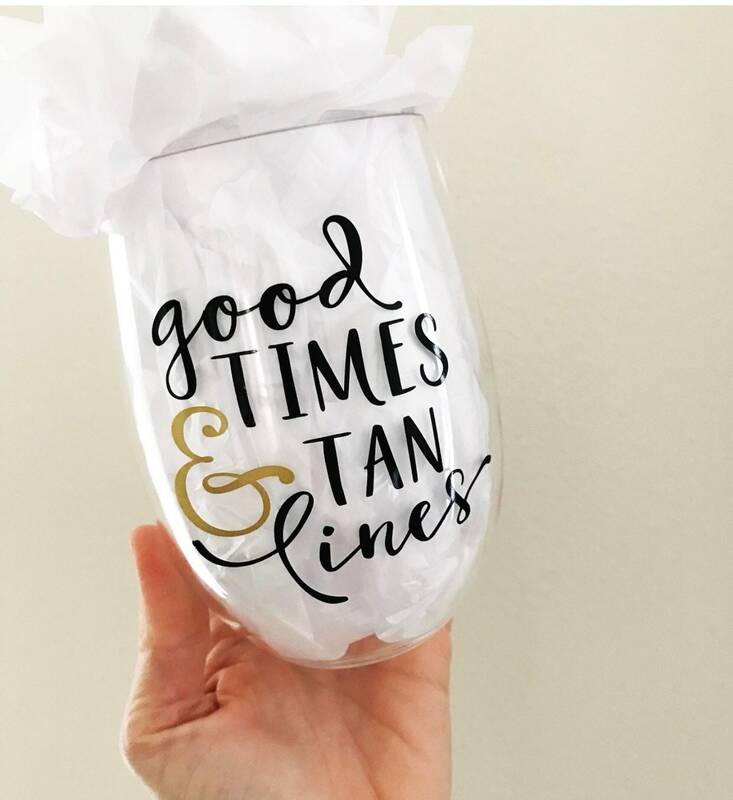 Was beyond happy with our custom plastic wine glasses. She was extremely accommodating and easy to work with. Shipping was fast. Highly recommend!